Officials and representatives of the UNITE union will managers later today, fearing that 1,000 of its 2,100 staff could be laid off. 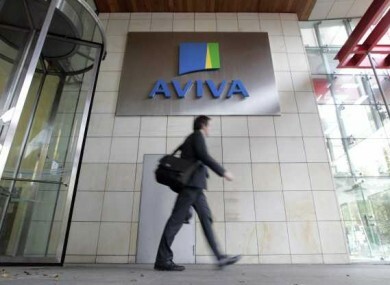 TRADE UNION REPRESENTATIVES are to meet with the management of insurance company Aviva at its head office today, over fears that the company could be set to shed as many as 1,000 jobs. The possibility of job losses was originally indicated around two weeks ago, when it was suggested that up to 500 jobs could be cut as part of a restructuring exercise. Last night’s RTÉ Prime Time reported, however, that up to 1,000 of the jobs could be cut. Aviva has refused to speculate on any potential redundancies as a result of its organisation. This afternoon officers from UNITE, which represents around 1,300 of the 2,100 staff employed by the company, will meet with senior managers at Aviva’s head office on Hatch Street, Dublin, to seek clarification on the extent of the proposed restructuring. The company will specifically be asked to update staff on a review of Aviva’s global operations, which is ongoing in London, and to give feedback from a recent global meeting of Aviva’s human resources teams. UNITE says morale in the company remains low, with members trying their best to lift the business in difficult circumstances. Aviva has previously said it is “committed to Ireland” but was “considering various options to ensure we have a sustainable and competitive business”. The internal restructure will follow the expected relocation of the company’s European headquarters from Dublin to London. The Aviva name appeared in the Irish insurance market in 2008, when Hibernian Insurance – which was then owned by the British company CGNU – was renamed as part of a global rebranding exercise. Email “Unions to meet with Aviva over fears for 1,000 jobs”. Feedback on “Unions to meet with Aviva over fears for 1,000 jobs”.